There is a growing, intuitive knowing by Christians around the world that the return of the Lord Jesus Christ for His church is near. Yet for much of the Christian church today, the recognizable presence and power of God is largely absent. The Code Cannot Be Broken provides scriptural insight into the keys to every believer walking in intimate relationship with God by the ongoing work of the Holy Spirit. This book explains the working of the Holy Spirit in communicating the language and counsels of God, which flow so freely from Him to us. 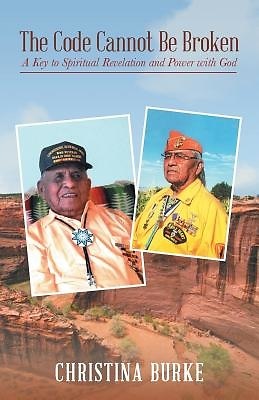 Having come from a family of Navajo code talkers, Christina Burke has employed the striking parallel of the unbroken Navajo code used so effectively during World War II in the Pacific to illustrate the infallibility of the communication gift of the Spirit. By way of the Creator Spirit is revealed the secret mysteries that manifest the presence and power of the Living God. With this comes specific instruction and direction, so desperately needed, to navigate the perilous times in which we live.